After what seems like forever, I'm back in the blogosphere. And I just have to share this little treat with you. It is a South-Indian delight. We've been missing the readily available street food in Mumbai an awful lot lately, so I've decided that instead of whining about it, I was just going to have to put my big girl pants on and learn how to make it myself. So off I went, to scour the internet for recipes easy enough for a beginner in South Indian food to get right. You might wonder what I'm on about. You see I love South Indian treats, but a lot of them call for the perfect ratio of ingredients, overnight fermentation and consistency of the batter, to name a few pressure points you might come across in a recipe. I wanted something that wouldn't take as long. 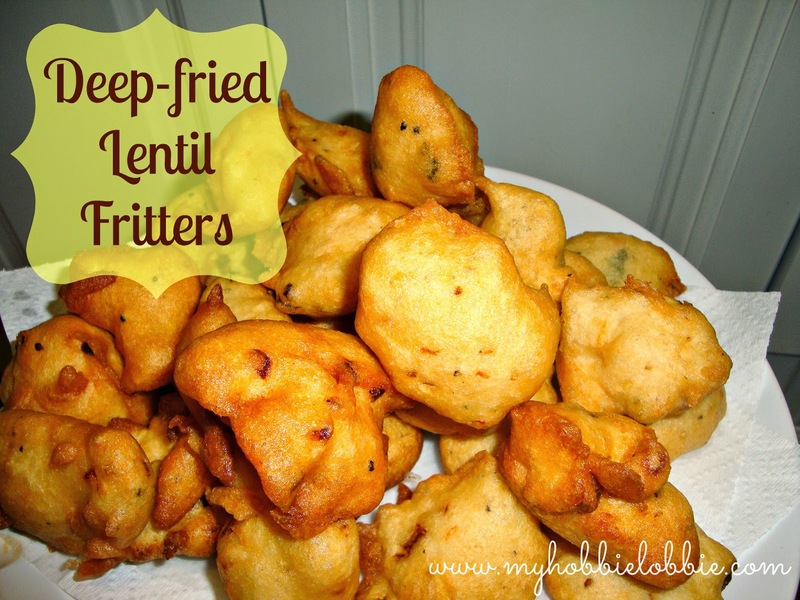 After a little looking, I found a recipe for Deep-fried lentil fritters. It requires a little planning in advance, since the lentils have to soak for a while (you could make the Chutney and the prep the other ingredients in the meanwhile), but other than that its fairly simple to prepare. The fritters turned out fantastic. Crunchy on the outside, fluffy on the inside and they packed some lovely flavor. I should tell you at this point, that the first time I made these fritters, the batter was a little thinner than it should have been. The resulting fritters were tasty but absorbed a little oil while they were being fried. I knew at once that I needed to make some changes. When I made these a second time and watched the water content closely. The batter was a lot thicker than the previous time. And since then I've made these a couple of times and they hit the spot every single time. So until I learn to make a few more Indian street food delights, I will make these bite sized treats everytime the we're hit with the craving for some South Indian food. I've used a bit of chillies with the seeds since we like our food with a little bite. But you can either cut down on the chillies or leave them out completely. Serve this hot with some Coconut Chutney on a wet / cold day or any other day really coupled with a piping hot cuppa tea and you're in for a real treat. 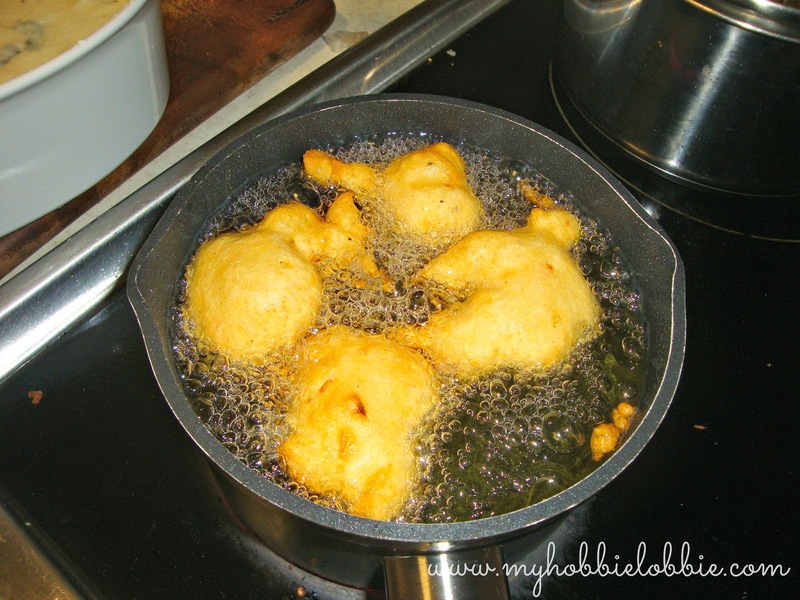 Come back tomorrow and I'll show you how to use these fritters to make another yummy snack. Wash the dal a couple of times in water and drain. Drain the water. Rinse the dal through with fresh water again and drain. Grind the dal with a tiny bit of water to a smooth paste. Remember, to not add too much water. You don't want a thin runny batter. 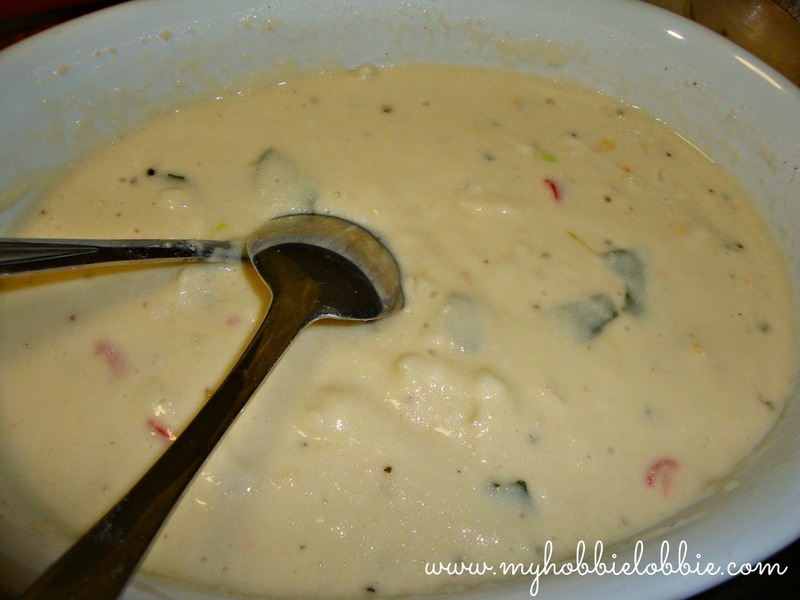 In a bowl, mix the paste, salt and rice flour. Add the onions, chillies, pepper and curry leaves and stir through, to mix the ingredients evenly. Heat the oil in a wok to deep fry. When the oil is hot, ladle the batter carefully into the oil one tablespoonful at a time and keep the oil on a medium heat. Fry the fritters till golden brown. Drain the fritters onto some kitchen paper to absorb any excess oil. Enjoy hot with some Coconut Chutney and a hot cuppa tea.